Home audio is the latest domain to be given a luxe makeover. 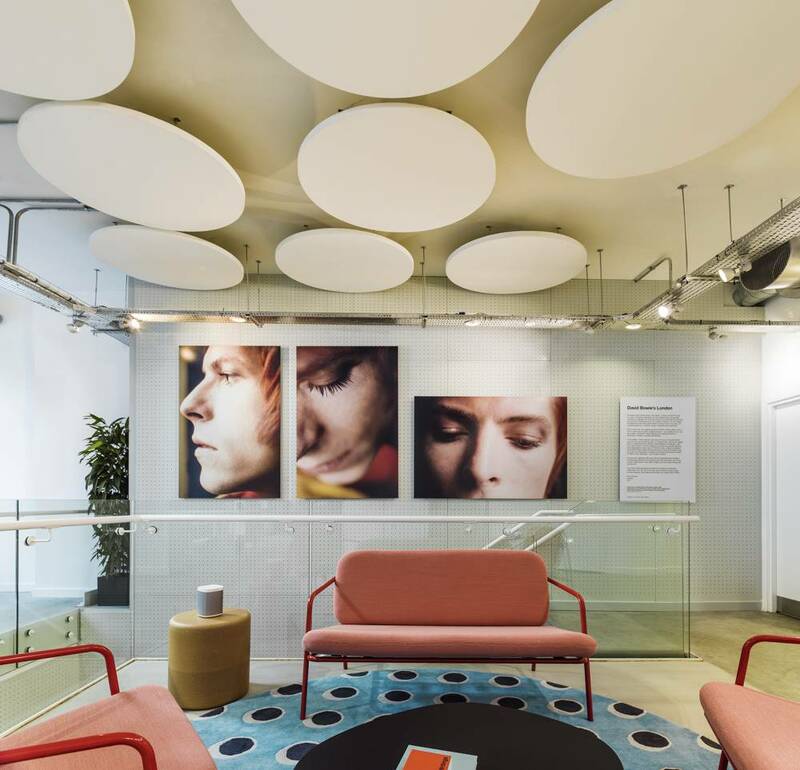 With an exhibition showing David Bowie photographs by Mick Rock, artist-designed ‘listening rooms,’ complete with art house tomes and graphic wallpaper, and a space for talks by industry figures, Europe’s first ever Sonos store is offering more than just a place to buy speakers. The California-based company has been revolutionary in bringing to the market integrated home audio systems, including the latest, Sonos One, which is voice activated. 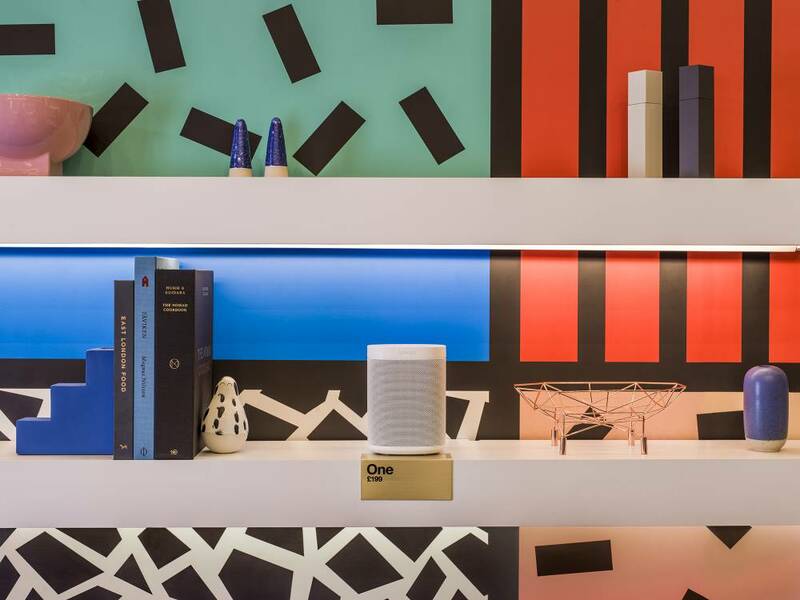 The space, located in Seven Dials, contains two listening rooms designed by artists Camille Walala and Neil Raitt. 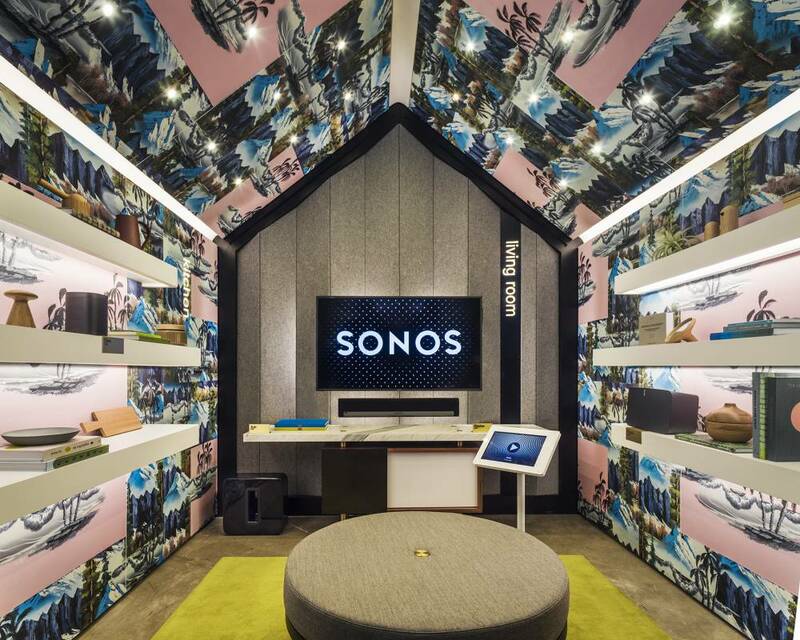 One, with pink and green palm tree wallpaper, the other with a jaunty print reminiscent of the 1980s Memphis Movement, allow customers to sample the various Sonos products, and stream their own music in the space. 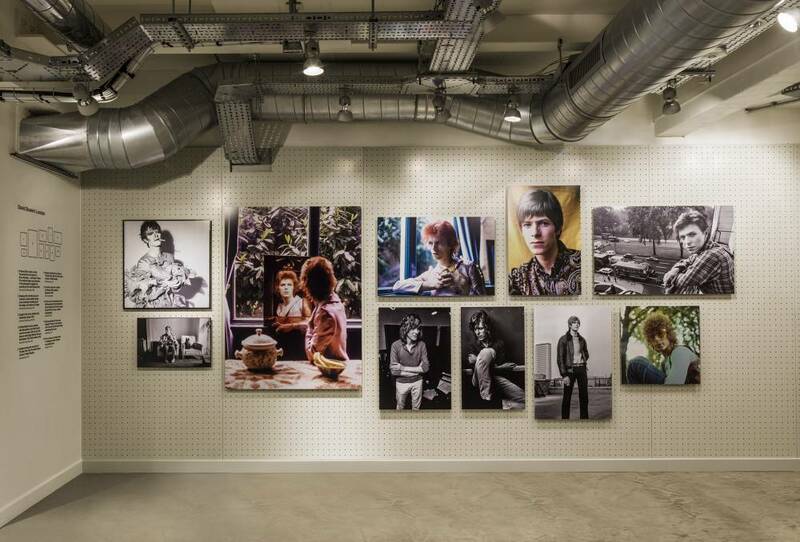 Alongside this the downstairs space will hold events and talks. A recent one, ‘Sonos presents Song Stories: Bowie’ was hosted by Miranda Sawyer, honouring David Bowie’s work and legacy, as told through the powerful stories of artists and fans alike, including Nick Rhodes, Goldie, Graham Coxon, Carl Barat, Peaches and Rostam. 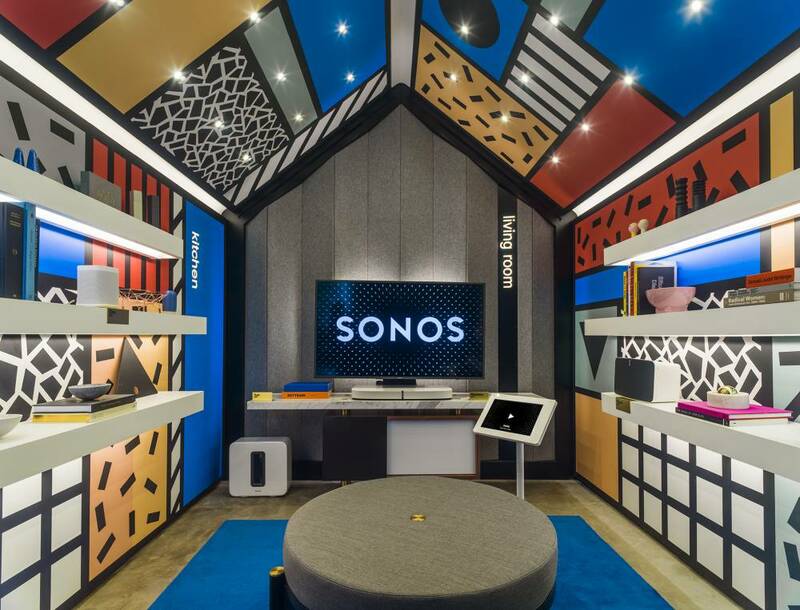 Sam Bain-Mollison, Head of Group Retail Strategy & Leasing, said: “Sonos is one of the most exciting brands in the world and we are thrilled they selected Earlham Street for their UK debut. It is a significant launch for Seven Dials that adds to the authentic, cultural appeal of the destination. More than that, however, it is a clear affirmation of the importance of bricks and mortar retail in allowing brands to deliver an engaging experience with their customers, that simply cannot be achieved online alone.